Scientists at the University of Edinburgh have developed a camera that can see through the human body. The camera is designed to help doctors track medical tools known as endoscopes that are used to investigate a range of internal conditions. The new device is able to detect sources of light inside the body, such as the illuminated tip of the endoscope’s long flexible tube. Until now, it has not been possible to track where an endoscope is located in the body in order to guide it to the right place without using X-rays or other expensive methods. Light from the endoscope can pass through the body, but it usually scatters or bounces off tissues and organs rather than travelling straight through. This makes it nearly impossible to get a clear picture of where the endoscope is. The new camera takes advantage of advanced technology that can detect individual particles of light, called photons. Experts have integrated thousands of single photon detectors onto a silicon chip, similar to that found in a digital camera. The technology is so sensitive that it can detect the tiny traces of light that pass through the body’s tissue from the light of the endoscope. It can also record the time taken for light to pass through the body, allowing the device to also detect the scattered light. By taking into account both the scattered light and the light that travels straight to the camera, the device is able to work out exactly where the endoscope is located in the body. Researchers have developed the new camera in such a way that it can be used at the patient’s bedside. 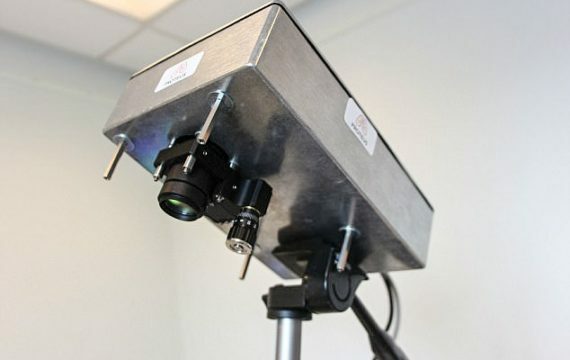 Early tests have demonstrated that the prototype device can track the location of a point light source through 20 centimetres of tissue under normal light conditions. The project – led by the University of Edinburgh and Heriot-Watt University – is part of the Proteus Interdisciplinary Research Collaboration, which is developing a range of new technologies for diagnosing and treating lung diseases. Proteus is funded by the Engineering and Physical Sciences Research Council. Kev Dhaliwal, Professor of Molecular Imaging and Healthcare Technology, University of Edinburgh is Project Lead for Proteus. He believes the camera has immense potential for diverse applications. “The ability to see a device’s location is crucial for many applications in healthcare, as we move forwards with minimally invasive approaches to treating disease." Dr Michael Tanner, of Heriot-Watt University, adds: "My favourite element of this work was the ability to work with clinicians to understand a practical healthcare challenge, then tailor advanced technologies and principles that would not normally make it out of a physics lab to solve real problems. I hope we can continue this interdisciplinary approach to make a real difference in healthcare technology." The research has been published in the journal Biomedical Optics Express.